After a couple of days of speculation, it appears as though the rumored trade of Adam Lind that began bubbling publicly on Day 1 of the Winter Meetings might finally come to a head on Day 3 of the same. Sources: #Mariners not done. 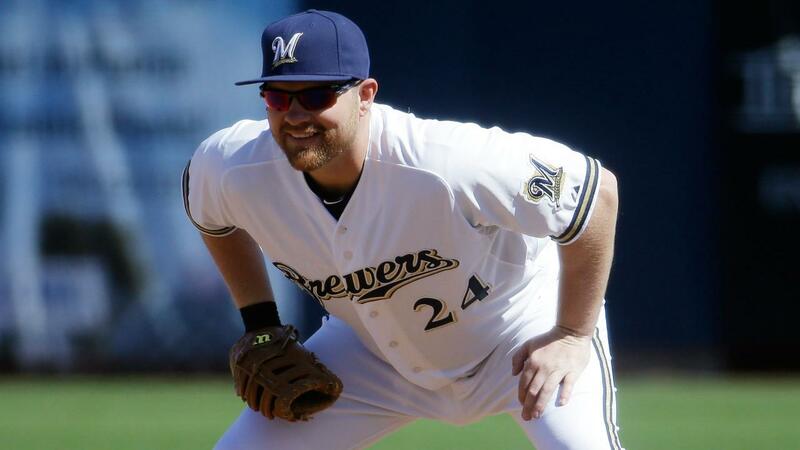 Trying to get Lind from #Brewers. And after not quite 36 hours, Rosenthal’s colleague tweeted this pair of Lind updates in the early hours of Wednesday morning. Talks between Mariners and Brewers continue to gain momentum; chances increasing that Adam Lind will be moved in next 24 hours. 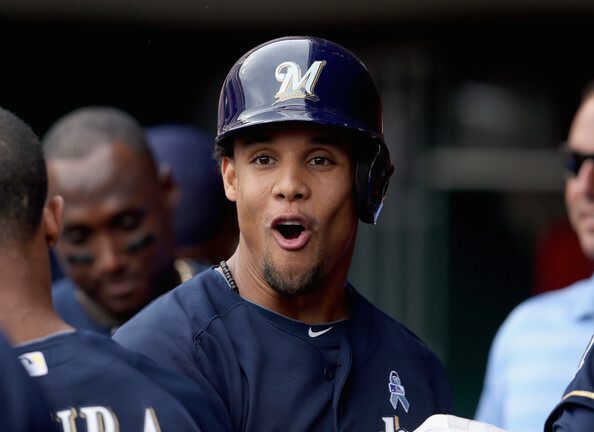 As for what the Brewers could be getting in return? Obviously nothing is done yet, and this is pure speculation, but the name D.J. Peterson was mentioned by several people back on Monday as a piece that could make sense in a deal for Lind. After all, we are keenly aware of the Brewers deficiency in corner infield prospects. I’m of the belief that Peterson certainly wouldn’t be enough by himself, if he’s involved at all. David Stearns told beat writers in Nashville at the Winter Meetings that he wasn’t prone to deals at 1 or 2 a.m. but hopefully we’ll get at least an update on this situation once the sun rises over Music City. Will Davies Be Joining Santana in Milwaukee This Week? Yup. If you follow my timeline on Twitter (@BrewerNation), you are probably already aware of the following information. In fact, I’ll lay out the principal statements to this point by way of linking my tweets. That way, I’ll be able to simply supplement them. Melvin said we might see Zach Davies in a #Brewers uniform yet this year. Envisions him taking rotation spot next year. Note the date. Manager Craig Counsell has said similarly themed words in the weeks since. 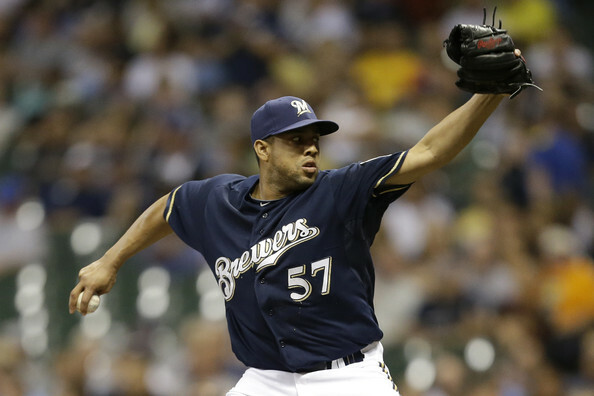 Counsell also more recently reiterated that “the latest” they need a fifth starter would be in Cincinnati. That led me to believe that perhaps they’d call on someone earlier than the last possible day (Saturday, September 5) to join the rotation. Counsell was asked before Sunday’s game whether he was willing to say who would be coming up and when they would arrive as far as September call-ups are concerned. Counsell today said "I don't think there'll be many players at all until the @skysox season is over." when asked about Sept call-ups. As for Garza's immediate future? He's listed in the probables for next series. Counsell said that's how things are until further notice. Counsell said he hasn't sat down and talked with Garza about it yet though. "The probables, that's accurate right now." I did a little counting and realized that if the Brewers wanted Davies for a start this week, something would need to happen. That said, if Davies stays on regular rest, 9/5 would be short rest. There are a lot of ways to manipulate that though, esp if he's the guy. Then last night, I caught wind that Jorge Ortega was headed from High-A Brevard County to Triple-A Colorado Springs. It stands to reason that Ortega was going up to Triple-A because a spot was opening. And nobody would be going up from Double-A Biloxi because of the moratorium on moving players away from that playoff-bound squad until said playoff run was concluded. Then in a moment of connecting the dots, I tweeted the following about how perhaps 9/5 wasn’t the target date for a rotation addition after all. If @ZDavies3's next start is going to be in a #Brewers uniform, I wouldn't hate if it came against PIT at home. Could push Garza back. @mesqwildcatBB. Former wildcat Zach Davies will make his 1st major league start tomorrow or Thursday against the pirates. It certainly does appear as though things are lining up. The contract of RHP Zach Davies has been selected from Triple-A @skysox. Davies was acquired from Baltimore on 7/31 for OF Gerardo Parra. So to answer the question in the title? Yup. RHP Zach Davies will make his @MLB debut tomorrow in a start vs. Pittsburgh.